We’ve barely had time to restock and replenish before hearing reports of another storm headed this way. We think it best to hold off raking for the time being. This entry was posted in garden and tagged weather. Bookmark the permalink. here’s hoping it won’t be a doozy. your raking leave of absence made me laugh. God knows where those leaves will end up come tomorrow. Hope you all stay safe & dry and stock up on sweets! …along with salty crispy things! Bummer, let’s hope it isn’t too bad. 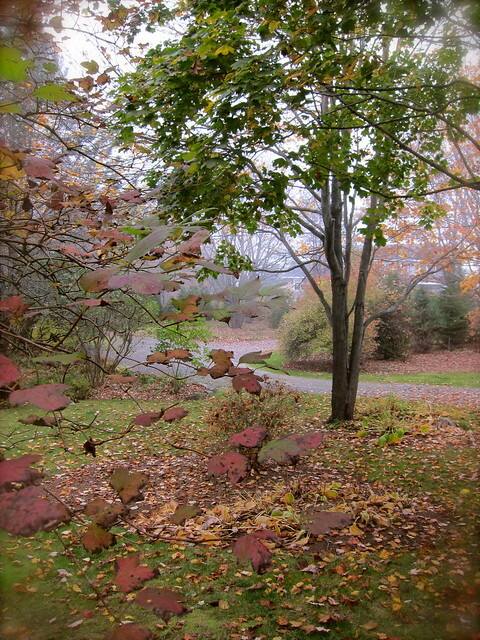 But it is always good to have a reason not to rake. Stay safe and lit. The snow’s now melted, looks like raking this weekend! 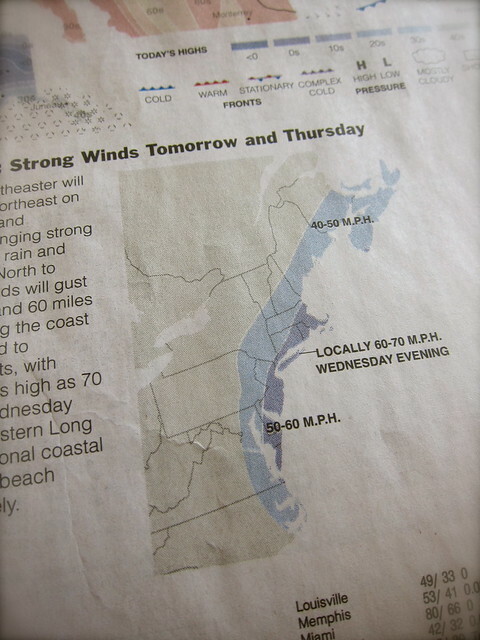 I hope the people on the East Coast don’t suffer more misery. Best wishes. You do have a tough climate don’t you? Hope its just the leaves it blows around.